Down the main road in Munda, a coastal town on the North Georgia Island of the Solomon Islands, past the wharf, the market and a small collection of shops, Patrick Arathe’s farm is reached by walking first across the runway of the local airport and finally along a dirt track that winds between residential buildings until it opens into a large clearing. With little more than a bush knife and an axe between them, a group of young boys between the ages of nine and 18 years have taken food security into their own hands. 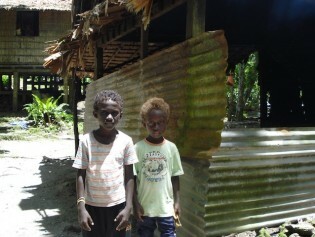 In Kindu, a community of 5,000 people in the coastal urban area of Munda in the Solomon Islands, these boys, who have been abandoned by their parents, have transformed their lives by establishing a cooperatively run farm.